THE TRUMP RULE: Let’s see if Congress understands what people pressure is all about. Reform Act of 2018 1. No Tenure / No Pension. 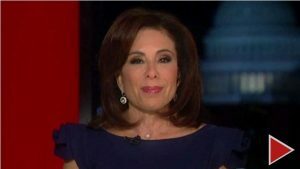 According to Judge Jeanine Pirro has Fans, President Trump is asking everyone to forward this email to a minimum of 20 people, and to ask that each of them to be asked to do likewise. In three days, most people in the United States will have the message. Salary of Speaker of the House – $223,500 FOR LIFE. Salary of Majority / Minority Leaders – $193,400 FOR LIFE. 1. No Tenure / No Pension. A Congressman/woman collects a salary while in office and receives no pay once they’re out of office. 7. All contracts with past and present Congressmen/women are void effective 7/1/17. The American people did not make this contract with Congressmen/women. Trump is asking each addressee to forward this email to a minimum of twenty people on their address list; in turn, ask each of those to do likewise. In three days, most people in The United States of America will have the message. This is one idea that really should be passed around. If each person contacts a minimum of twenty people, then it will only take three days for most people in the U.S. to receive the message. It’s time! Please forward if you favor these changes. Thanks for playing ball with us. This is the kind of “Chain Migration” we want to see happen, going into the inboxes of all Americans. 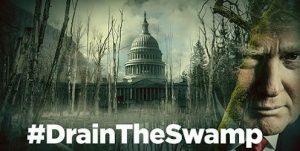 Drain the Swamp and Make America Great Again!!! Help President Trump to Drain the Swamp by joining the America First Coalition Boots on the Ground movement. We all pulled together in 2016 to elect Donald Trump as our President, he needs our help again. Join here today! Even a criminal network such as the one we see in the swamp has an organizational and communication structure. We need all White Hats to pay attention to this intel and act accordingly. This is the center hub of their activity – the den of devil, so to speak.